South African rapper Prokid has been confirmed dead in the early hours of Thursday, August 9 after suffering from 'severe seizure'. Veteran South African rapper, Prokid has been confirmed death after suffering from a case of 'severe seizure'. This was made known in a statement released by his family confirming the incident, which took place in the early hours of Thursday, August 9, 2018. The family confirmed the news in a statement following an outpouring of tributes from fans and high-profile personalities on social media in the early hours of Thursday. "The legendary SA hip-hop artist affectionately known as ProKid ... passed away on Wednesday. He suffered a severe seizure attack while visiting friends and paramedics were called in to assist. They did their best to revive him to no avail and called his time of death at 8.38pm," read part of the statement. ProKid's family also pleaded for privacy while they dealt with the tragedy. "Further details will be furnished as soon as his family has gathered." 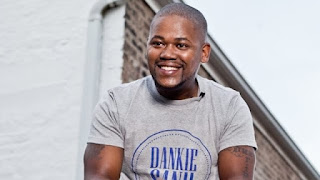 ProKid, is recognised as one of the pioneers of hip-hop in SA, will be remembered for his contribution to the industry and for hits such as Abagcwali, Ghetto Science and Uthini Ngo Pro. There has been no response to "ProKid a South African rapper passes away after severe seizure"